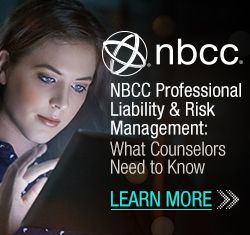 The Professional Counselor (TPC) is the official, peer-reviewed, open-access, electronic journal of the National Board for Certified Counselors (NBCC), dedicated to research and commentary on empirical, theoretical and innovative topics in the profession of counseling and related areas. 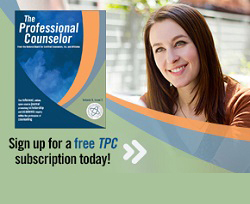 The goal in establishing TPC was to create an exciting new resource for the counseling profession with relevant material and interactive features. 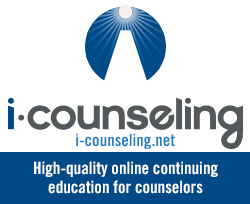 TPC publishes original manuscripts relating to the following: mental and behavioral health counseling; school counseling; career counseling; couple, marriage, and family counseling; counseling supervision; theory development; professional counseling ethics; international counseling and multicultural issues; program applications; and integrative reviews from counseling and related fields. Each issue of TPC is accompanied by an engaging Digest, a collection of nontechnical summaries of the issue’s articles. The journal publishes a new issue at least three times a year, at no cost to readers. Individual articles and digests, as well as complete issues, are accessible to anyone at any time. The intended audience of the TPC journal includes National Certified Counselors, counselor educators, mental health practitioners, graduate students, researchers, supervisors, and the public. The content is resourceful, the format is interactive and the reach is worldwide. We hope you enjoy TPC.